With summer course midterms and work, this week was really busy for me (note: This article was posted exactly one month after the events described in it). So I was only able to make it to two thrift stores. Luckily, my collector/picker friends had a little bit more luck and trade me some of their spoils for some items that I was going to sell. Newcastle has been my favorite beer since the first time I tried it. So I’ve been looking for Newcastle glasses for a while. Finally after several months of searching, I found this mint glass for a dollar and bought it. These glasses are generally hard to find, because Newcastle beer is sold in glass bottles. So some people won’t buy glasses for them when they can drink it directly from the bottle. I’ll probably look for a few more until I have four glasses. I’m also looking for more Stella Artois glasses and Yuengling glasses. As I’ve mentioned several times in this series, I have been looking forward to the return of the Charlotte Hornets for a long time. 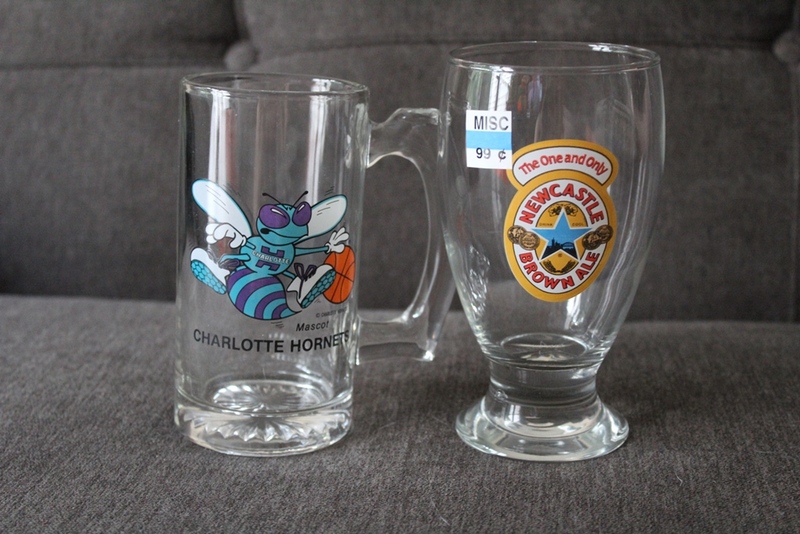 And I’m always on the look out for cool retro Hornets merchandise. My friends know this about me, and one of them gave me this glass, which she found for 50 cents. I love tabletop games and I love video games. So I love when I can find something that combines the two. I found this one at my local Value Village, which usually only has really common and really poor condition board games. The box is in great condition and the pieces are still sealed in the bags that they came in. 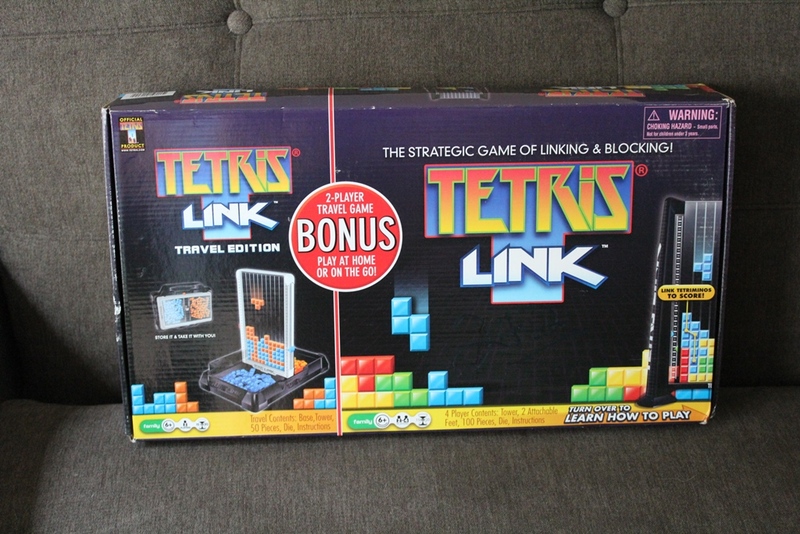 This one comes with both the standard, full-size game and the travel version– the set is available on Amazon for $45. The reviews for the game are positive and usually compare the game to Connect Four. I’m hoping to play this game with my fiancee later when my semester ends. On this site, I hope to start doing some board game reviews later more if they’re well-received. 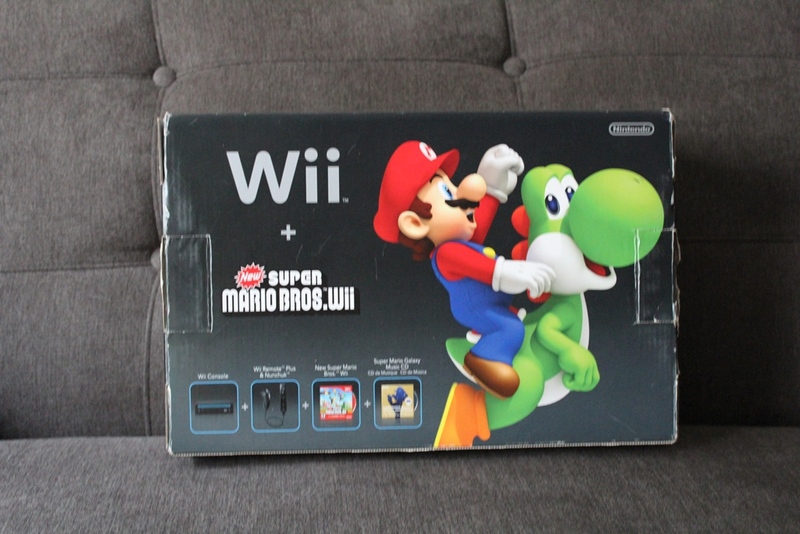 Another freebie from my picker friend, this black boxed Wii is an awesome edition to my collection. I never meant to start collecting the Wii variants boxed. I’ve very purposefully collected all of the Game Boy Color, Game Boy Pocket and Nintendo 64 variants, because these consoles were really important to me as a kid. But with the Wii and DS Lite, I just kept finding consoles, so I figured why not. I already have the white and red Wii boxed, so now I only have the blue one left to find. My second box is my favorite find of the week– again a freebie from the same picker. Before this, I only had a boxed Nintendo 64, Gamecube, Wii and Wii U. So now I only need a Super Nintendo box. There are so many variants of the NES console box, with the most coveted release being the R.O.B. variant. 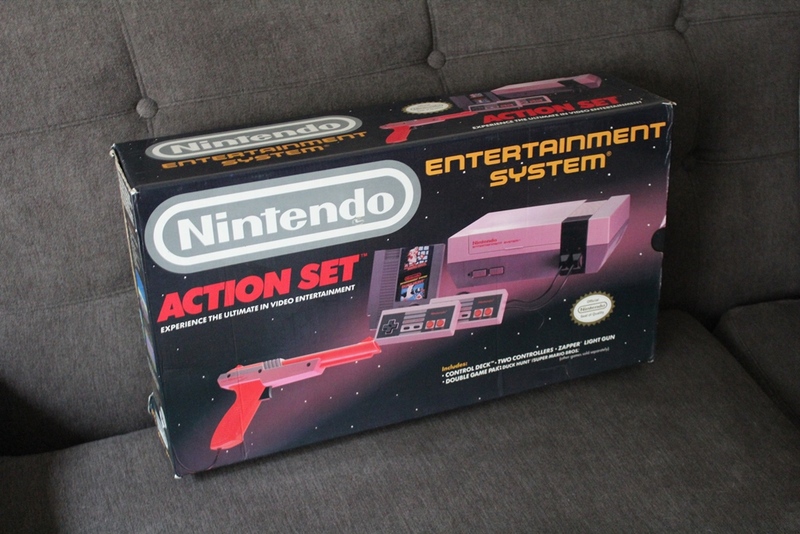 But I’m happy to have the Action Set, which includes two controllers, one Zapper Light Gun and the Duck Hunt/ Super Mario Bros. double game cartridge. This is only the box. 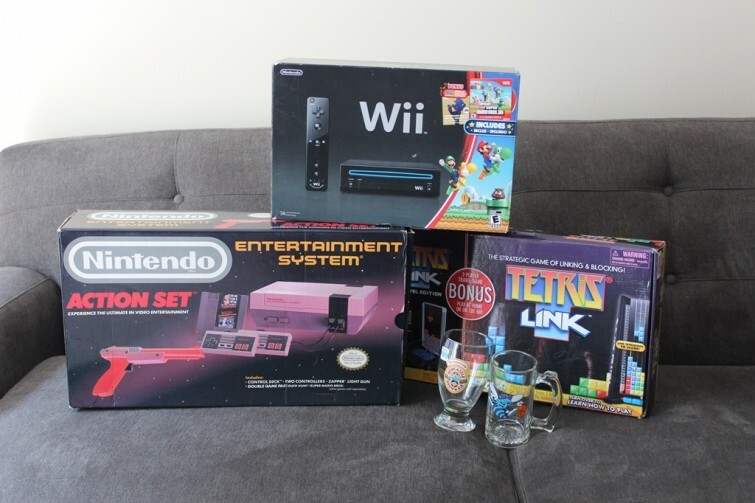 Fortunately, I already had the console, game and accessories. Never have I found the box for a NES console in the wild since I started seriously collecting. The last one I found was for $90 at a local retro game store, and I almost bought it. But I figured I’d wait out for a better deal. Never underestimate the importance of luck in collecting.